JESSICA MCCAUGHEY earned her MFA in Creative Writing at George Mason University in Virginia, where she also teaches undergraduate English. Her work has appeared in The Colorado Review; Hot Metal Bridge; Phoebe, and other journals. Jessica lives in Arlington, Virginia. Her piece, “Scramble,” appeared in Volume 6, Number 2 of Silk Road. GW: What are some of your literary influences? Jessica McCaughey: This list is a mix of those nonfiction writers I’ve been reading for years and some newer favorites for me, but they are all folks whose work I turn to when I feel the need to immerse myself in really, really good stuff: Anne Fadiman, Susan Orlean, Sarah Vowell, Ira Sukrungruang, Kyoko Mori, David Sedaris, John McPhee, and Dave Eggers. GW: What draws you to creative nonfiction? GW: In Scramble you note that, “Years later, I will think back and wonder how we convinced ourselves that a day outside might cancel out years of such a strained connection, that a hike might override the sadness that seemed to sit silently between us for the duration of our relationship.” How did you decide to write Scramble after this lapse in time? JM: Writing this essay was actually a unique experience for me, in that I wrote the first draft of it, the hike, mainly, very soon after it occurred. I felt capable, at the time, of forming something from it, and so I wrote down a lot of the details about that day and the weeks that followed, but ultimately I felt very stuck as I tried to revise. I ultimately put it away and several years later, once I had quite a bit of distance from the situation, came back to it and I knew much better, I think, what it needed. 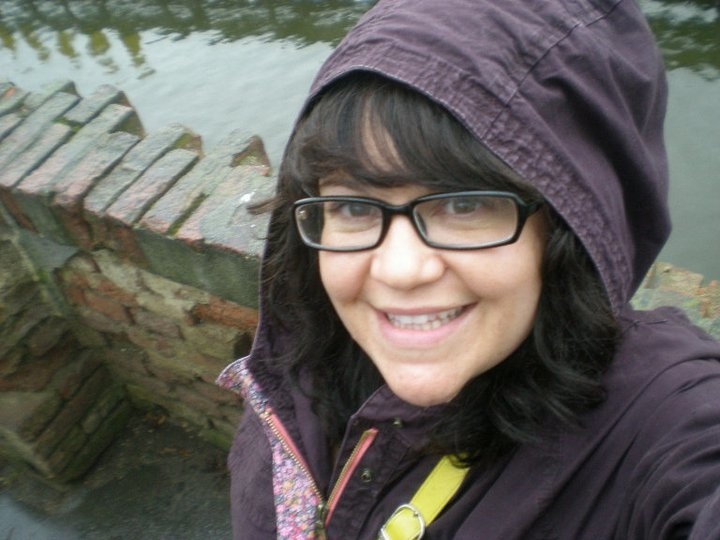 GW: How can the passing of time and the reflective voice be valuable for creative nonfiction? JM: For me, as I said above, the passing of time was crucial to even be able to include any real reflective voice here beyond the trite, expected considerations for this piece. And for creative nonfiction, I think that mix of storytelling and reflection is really crucial for giving a reader a full understanding, no matter how focused the actual story is in providing that specific perspective. GW: Throughout this piece you juxtapose the narrative of climbing the mountain with the future knowledge of how the relationship between the narrator and William ends. “In that moment, as we pass the trailhead and start up the mountain, I don’t know that this will be the last weekend day we will spend alone together. That one night very soon, while watching a History Channel special about salt, I will finally admit that our relationship feels like pretending.” When writing Scramble how did you decide when to break out of the story of climbing Old Rag to reflect on different parts of the narrator’s relationship with William? JM: The two storylines (the hike and the later reflection) were really intertwined from the beginning with this piece. I went back and forth a number of times on the breaks, where one scene switches to reflection or another scene, until it felt balanced, and until I felt like the reader had enough information to know what was going on, but didn’t know so much that it would color their reading of the hike itself throughout the piece. That felt really important to me as I was revising—that the reader knows, throughout, just a little more than the narrator in those past moments, but not quite as much as the narrator does years later. GW: This piece is very honest; how can such intimacy be important to creative nonfiction? Do you think close scrutiny and specific details lend the narrative voice a certain credibility, does it deal with accurately defining meaning, or is it another phenomena entirely? JM: I do think that an intimate, honest narrator and a lot of very specific details can lend credibility, but I think more important than that is striving to give a full picture, and anticipating the things one’s reader would be wondering about. Little details (the color of a pair of eyeglasses, a key piece of dialogue that gives some insight into a character’s thought process) are essential in creating meaning, and in developing this reader-writer relationship, but I think what I worry about more is enveloping the reader in whatever situation or scene I’m recreating on the page. The last thing I want is for a reader to be distracted, wondering, for instance, “I wonder why she was there” or “is this character 20 years old or 50?” In the revision stages, these questions come up a lot for me, and in workshopping this piece with other writers, they were the questions I was most intent on answering in future drafts. Ultimately, though, yes, I do think that by creating this full picture through details and reflection, I hope to give both a more meaningful account.